Eeeek, it's the last day of January, where did this month go, and where is this year going! Things are finally getting back to normal around here, I'm back to my regular daily routine and regular sewing time which makes me a regular happy girl. I may even get back to my regular blogging! 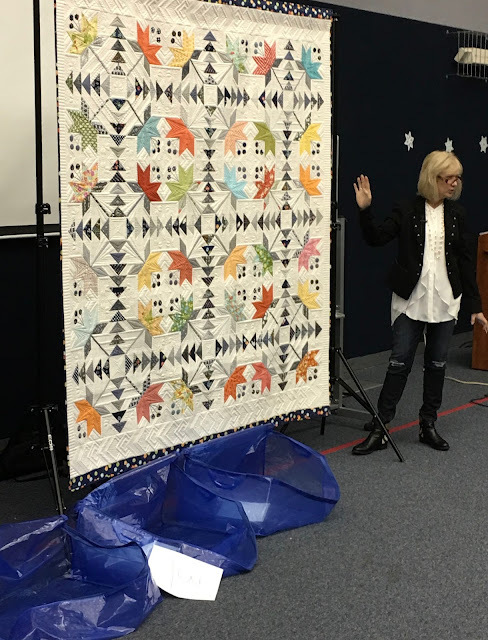 First up, I was thrilled to share a few of my quilts with the Pride of the Prairie Quilters for their January meeting. Here's the before I started chatting pic, 6 bags of quilts ready to go, 25 quilts total. And here's the after pic, all the quilts out and down to my last one. I'm not sure why I'm so serious talking about Coastal Lily, lol. The ladies were so welcoming, I made new friends I hope to see again. With the Christmas decorations packed up and the trunk show over I've finally had the time to think about the year 2017, which I've name The Year of Thelma - LX. I had a few 2015 goals that I carried over to 2106 and will now carry over to 2017! 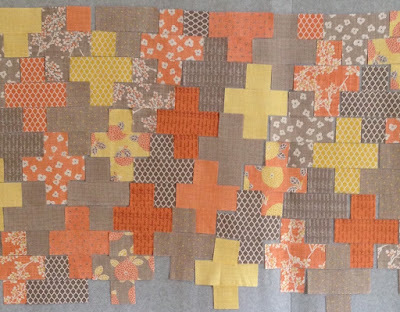 I'm still working on getting the perfect fabric to make this pattern by Cindy Lammon. I've finally ordered fabric, fingers crossed it all works out. My biggest hurdle in the past was getting yardage, I mainly have fat quarters, but I think I'm good. It didn't happen in 2015 or 2016, hopefully this is the year. I spent some more time on Zipper but it's still not done. I'm losing that loving feeling for this one, and I'm not sure why, all I know is when I get it out I avoid my sewing room, not a good sign. And here is what I finally made. While I didn't accomplish everything on my 2016 list, I did finish 22 quilt tops, and had a lot of fun, I chose happy and enjoyed every day I spent in my sewing room. and this bundle of Juggling Summer by Zen Chic for Moda. WHAT AM I WAITING FOR! 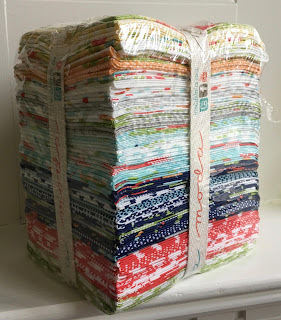 There's more beautiful fabric coming down the road all the time, my hoarding days are behind me. This is the year instead of just buying Carolyn Freidlander's fabric I actually make something with it. 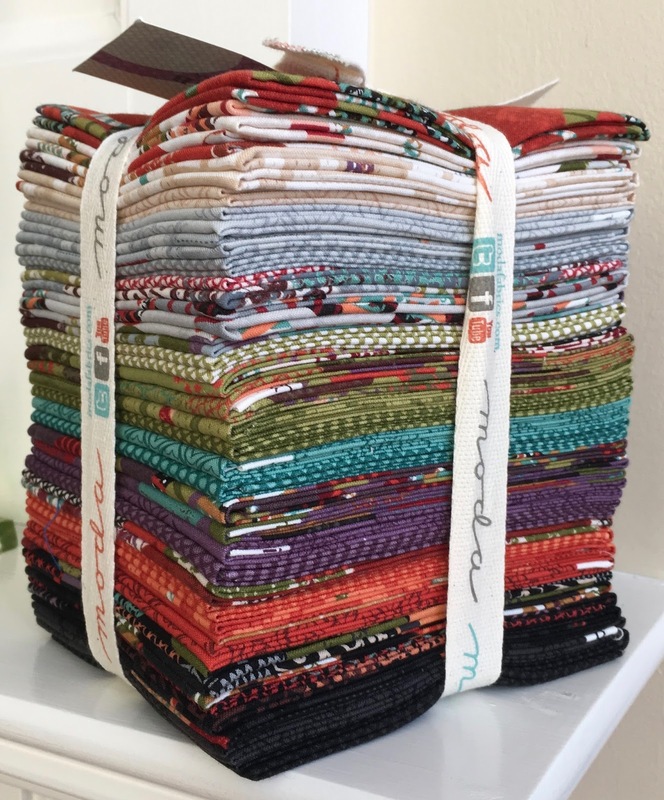 This is the year I make one of those 100 six inch block sampler quilts, Marcelle Medallion by Alexia Marcelle Abegg, and a low volume quilt. This is the year I get to as many patterns as I can that have been on my To Do list for too long. First up is Swoon. I made a smaller 4 block Swoon wall hanging for my daughter years ago, it's just one of those projects that I'm always going to get to but never do, until now. Baby Swoon hangs in my daughter's office, and has for over 5 years! Where does the time go! Anyway, I'm busting up all my Bonnie and Camille bundles and putting together combos of my favorite fabrics to make my most happy and spectacular Swoon, what took me so long! And here's my first block, made with my all time favorite Happy Go Lucky print, and my favorite red dot fabric from Vintage Picnic. This is the year I go to bed with dirty dishes in the sink, just once, maybe. 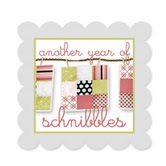 Oh, and this is the year I turn 60, there's nothing I can do but embrace it, celebrate it, and why not, I'm healthy, blessed with a wonderful family, and am part of an amazing quilting community that challenges and inspires me and has given me the best quilting friends in the world, what would I possibly change? 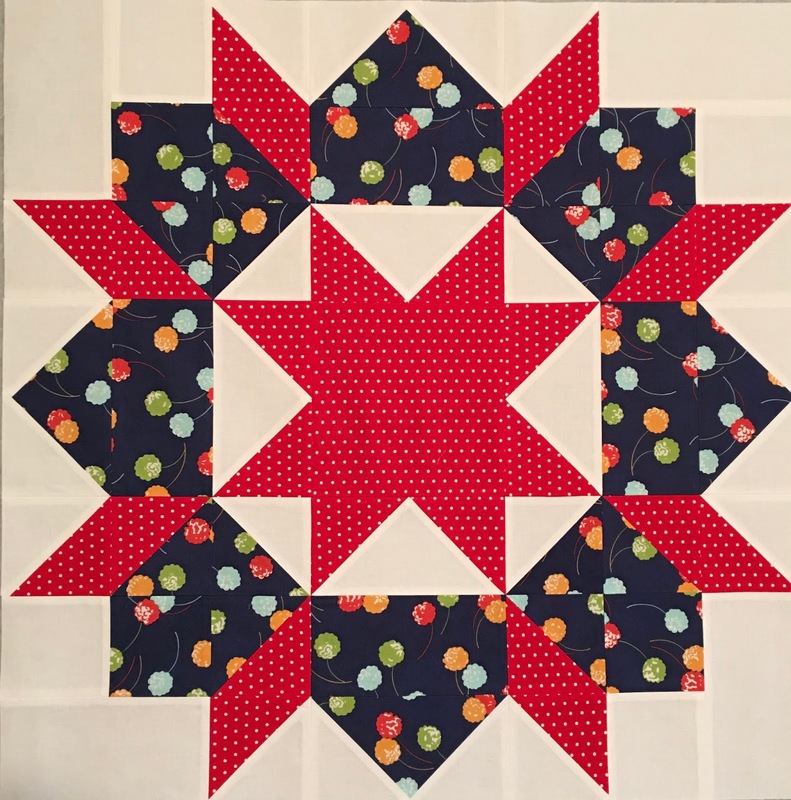 Great goals and always great quilts! I love your blog, Thelma; thanks for NO ADS! I just commented on another blog that there are few blogs I read faithfully because of the inspiration, the friendship, and NO ADS. Keep up the good work inspiring us! Sounds like wonderful plans for a wonderful year!! 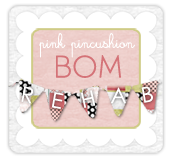 I love reading your blog!! Yes, this is your year! When I saw the blog title, I thought "No way is she turning 60!" It sounds like this will be a fun year for you. Thanks for letting us join in your adventure! Lovely round up. 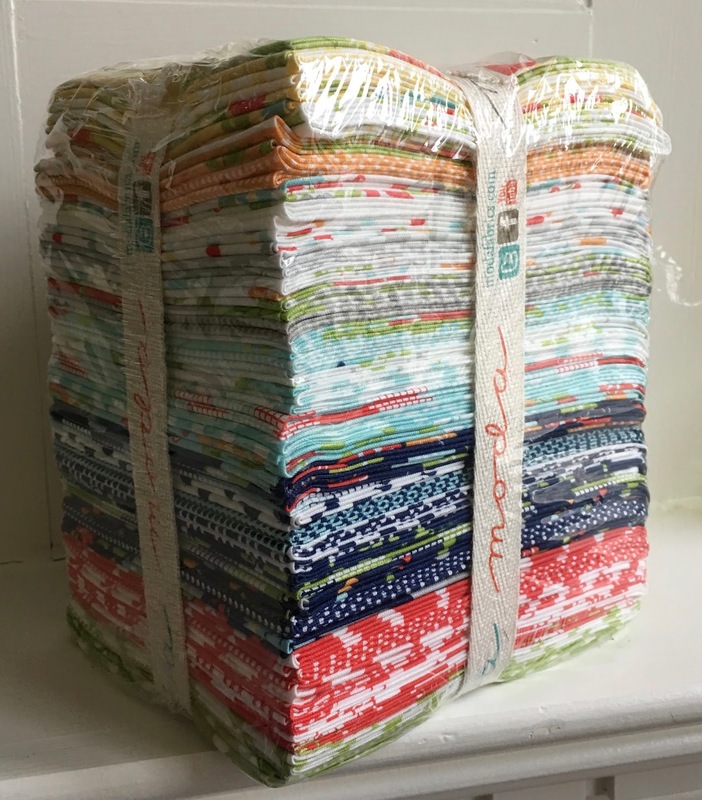 Love your blog and quilts! Well...."Happy 60" to you Thelma when it happens and yes, we just need to embrace life and enjoy every minute of it. I see great sewing projects happening for you this year...."Happy Sewing"! I believe the only appropriate response is, "You go, Girl!". And we'll be cheering you on, and ogling the quilts right here. I'm especially excited for you choosing to use the fabrics you love the most. I love your "bring it on" attitude for 2017, Thelma! Enjoy your year!! I am going to wear fun socks this year also!!! thank you for the idea. 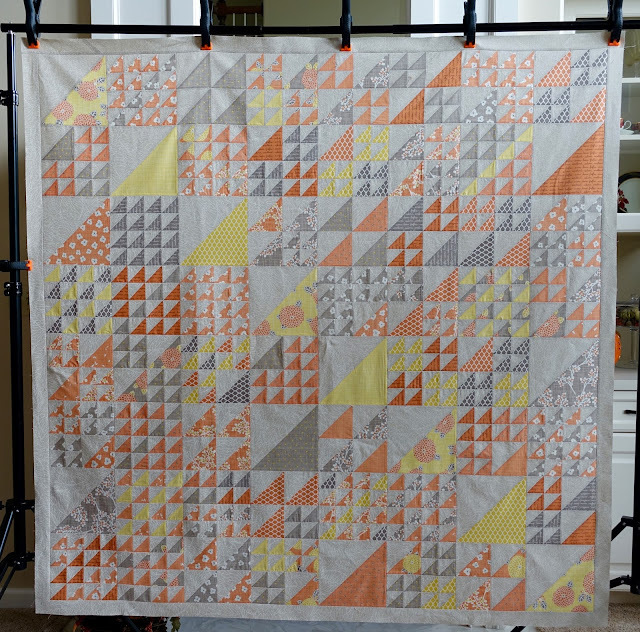 Also, I love the 4 block Swoon quilt...now on my list! I love all the quilts on your 2017 list. Life's too short to spend time on things that don't make you happy. Make a table runner out of "Zipper" and enjoy it that way. Sounds like you are gearing up for an amazing year! Swoon is a good choice to kick things off with. Love your fun socks too. Life is to short to be drab and dreary! 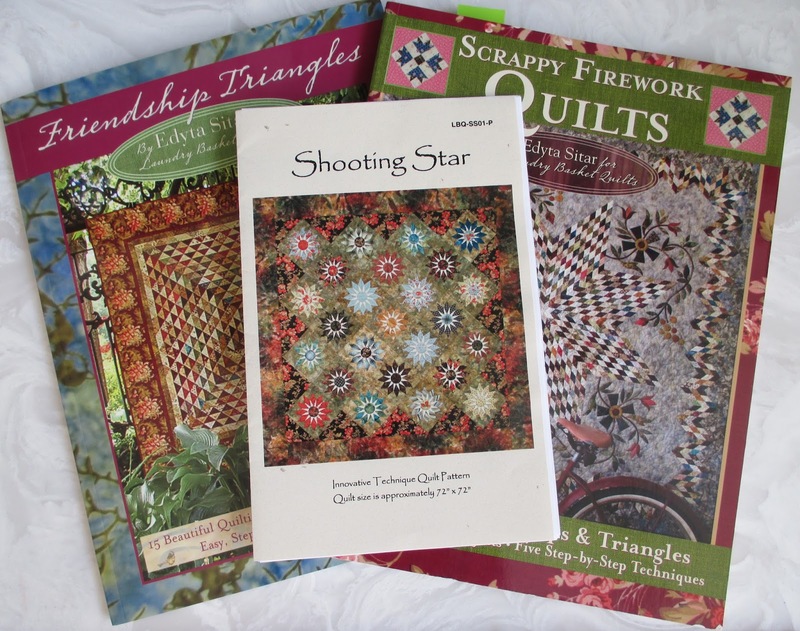 I've had the Swoon pattern since it was first published. The photos on Instagram of your blocks have motivated me to sew a quilt using this pattern. Thanks, Thelma. I, too, have made a pledge to use the fabrics I have available and reduce the number of purchases this year. Gorgeous, Thelma. Please, what is the quilt BEFORE Carolina Lily? I am smitten. Yeah to an amazing 2017! cute socks (oops - misspelled that - good thing i saw it before i hit "publish")!!! i am LXV this year - today, in fact - and i gotta say that being sixtyish has been MOSTLY FUN, so far!!! I gave a lot of thought to what I wanted my 60s to look like before reaching that milestone last summer. I decided to retire a bit earlier than planned so I could care for my new granddaughter. My new "job" doesn't give me any more free time for quilting than my old one, but I'm OK with that. Looking forward to seeing what The Year of Thelma XV brings. Your work is always so inspiring. So thankful you were able to share your beautiful quilts with our guild this month. THANK YOU! Great goals, great blog! It is always so much fun to see what you're working on. You keep us encouraged and challenged! Keep up the good work!! Carol O. Happy birthday all year, and what a coincidence, this is the year I turn 60 too! You've come up with some great ways to celebrate. No doubt about it -- you are going to have a fabulous year!! I am looking forward to seeing each gorgeous project unfold. Sounds like a creative, fun and energizing year! Enjoy! Super excited to watch your year unfold! I must say I'm loving the milestone birthdays. I turned 50 a couple of months ago and I found that there was more awareness than any other birthday I celebrated in the past. Hope this year is. Every thing you want to make it! Heh, I was just thinking that maybe you'd like to see what a fellow quilter did in the snow with Swoon. Google "Snow Swoon Tamarack Shack". It's very cool what some Canadians do in their spare time!! Try flipping Zipper around and look at it vertically instead of horizontally. Maybe that will help?? Otherwise, I agree with others...table runner!